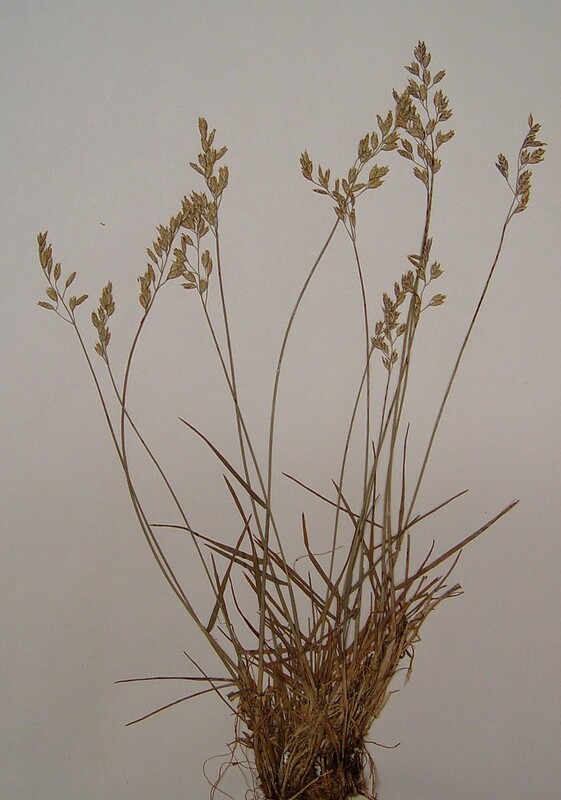 Glaucous blue grass is a rare grass found mainly in the northern portions of Maine, New Hampshire and Vermont. 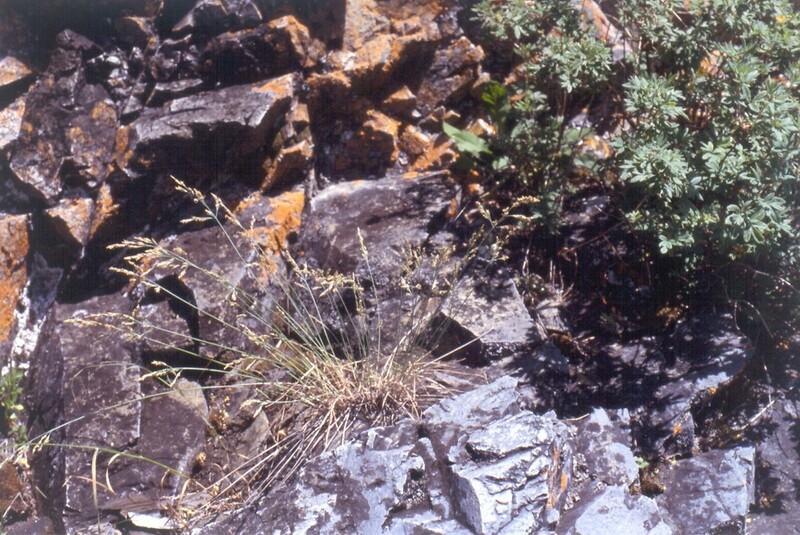 It inhabits river shores, cliffs, talus, and subalpine and alpine areas, usually where the substrate is high-pH. This species is easily confused with others in its genus. 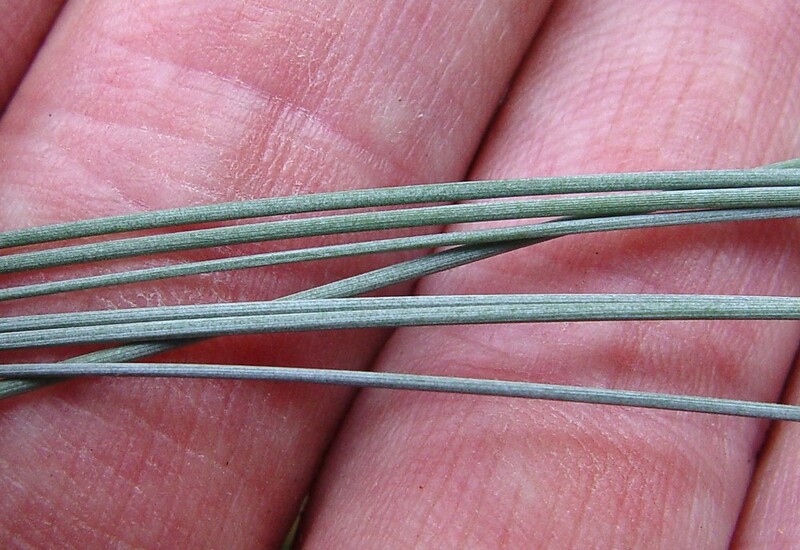 lemmas glabrous on the lateral veins uppermost stem node usually positioned at 1/3 to 3/5 stem height, and ligules 0.5–1.5 mm long (vs. P. glauca, with lemmas usually at least sparsely pubescent on the lateral veins, uppermost stem node usually positioned at 1/10 to 1/3 stem height, and ligules mostly 1.2–2 mm long). 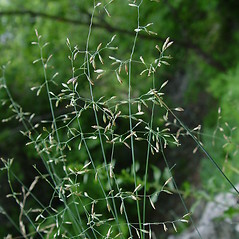 anthers 0.7–0.9 mm long, ligules 2.5–3.5 mm long, and branches of panicle smooth or sparsely scabrous on the angles (vs. P. glauca, with anthers mostly 1–2.2 mm long, ligules mostly 1.2-2 mm long, and branches of panicle moderately to densely scabrous on the angles). 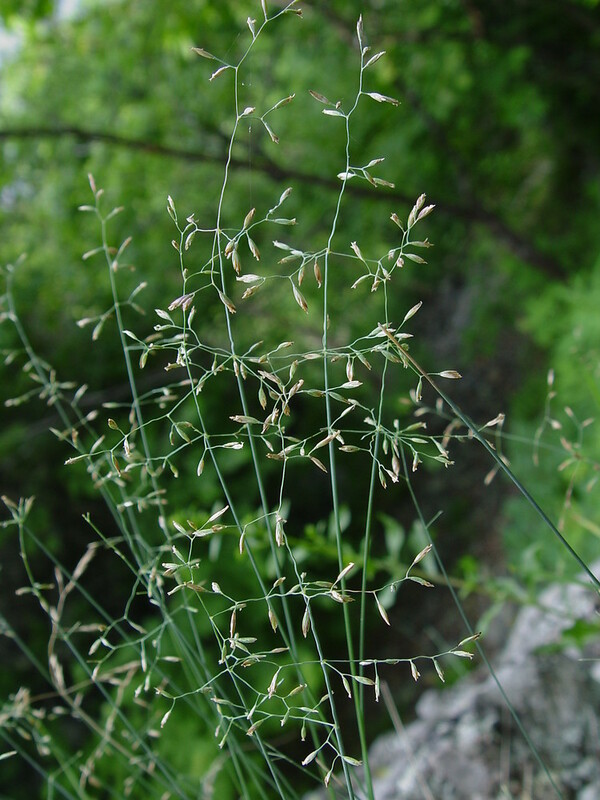 Our subspecies is Poa glauca Vahl ssp. glauca. glaucous blue grass. 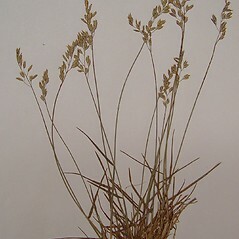 Poa glaucantha Gaudin • ME, NH, VT; mainly in northern portions of the states. 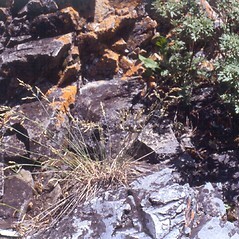 River shore outcrops and banks, cliffs, talus, alpine and subalpine plateaus and gullies, lake headlands, usually in areas of high-pH bedrock and/or till. 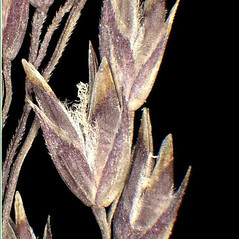 Poa glauca is often stated as having a glabrous lemma callus. 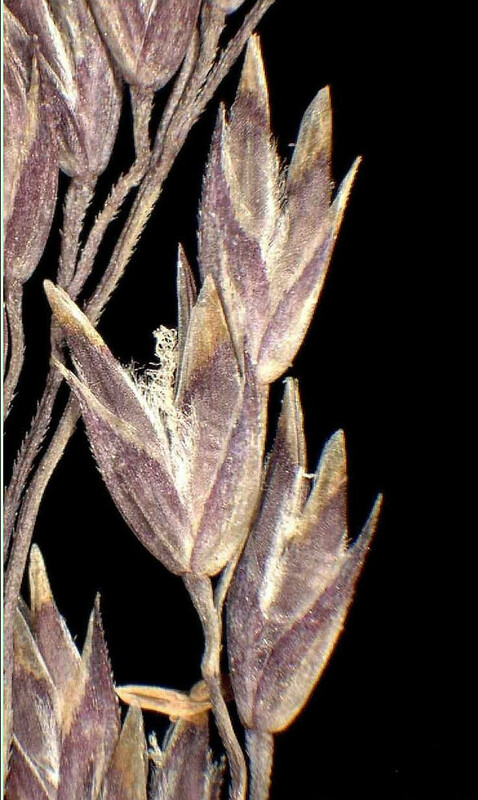 This is generally incorrect as most collections show at least a few arachnoid hairs on the callus. 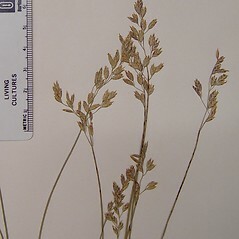 Poa glauca has been confused with P. interior, P. laxa, and P. nemoralis in New England, and can be difficult to separate from these species, especially in herbarium collections. 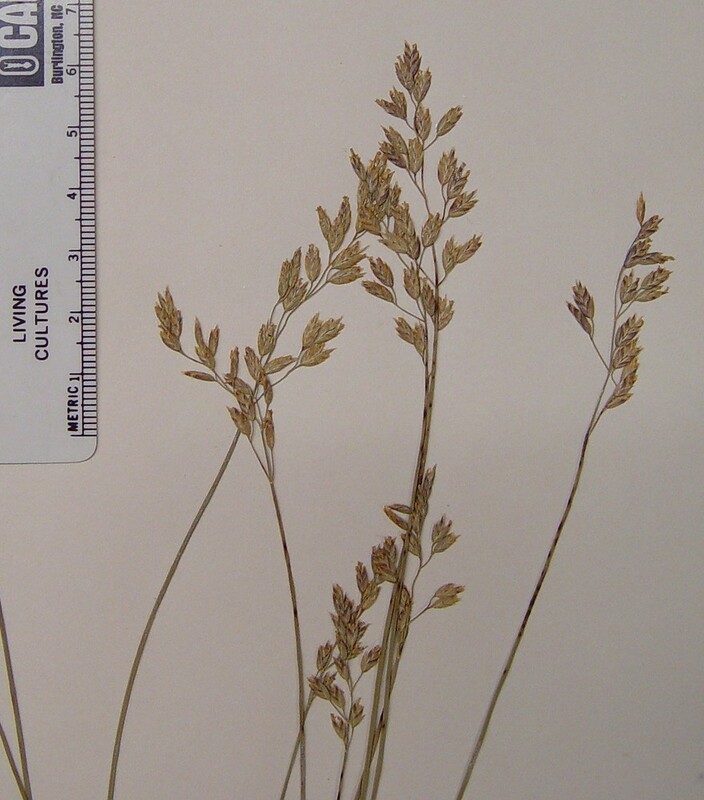 Most collections thought to be this species in VT were in fact P. interior. 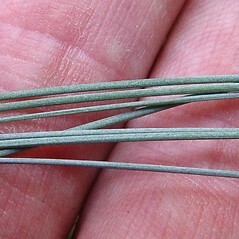 As its name indicates, P. glauca has gray-green to conspicuously glaucous-green foliage.